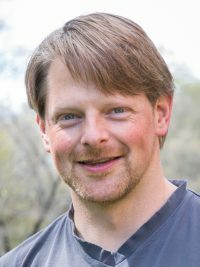 Dr. Kaminski’s goal as a theoretical physicist is to connect fundamental theoretical principles with feasible experiments. He is working towards this goal using both analytical and numerical methods. In particular, Dr. Kaminski considers principles learned from the mathematical framework of string theory. Then he applies these fundamental principles to strongly coupled quantum systems, which are far from being in equilibrium. Example systems for such far-from-equilibrium physics of strongly coupled systems are heavy ion collisions, our universe right after the Big Bang, neutron stars, ultracold atoms, and particular phases of condensed matter. Dr. Kaminski received his PhD in 2008 from the Ludwig-Maximilians-Universität München, Germany. He was a postdoctoral researcher at Princeton University (2009-2011) and the University of Washington (2011-2014). Dr. Kaminski joined the faculty of The University of Alabama in 2015.